Photo Credit: Photos by Lors used with permission. 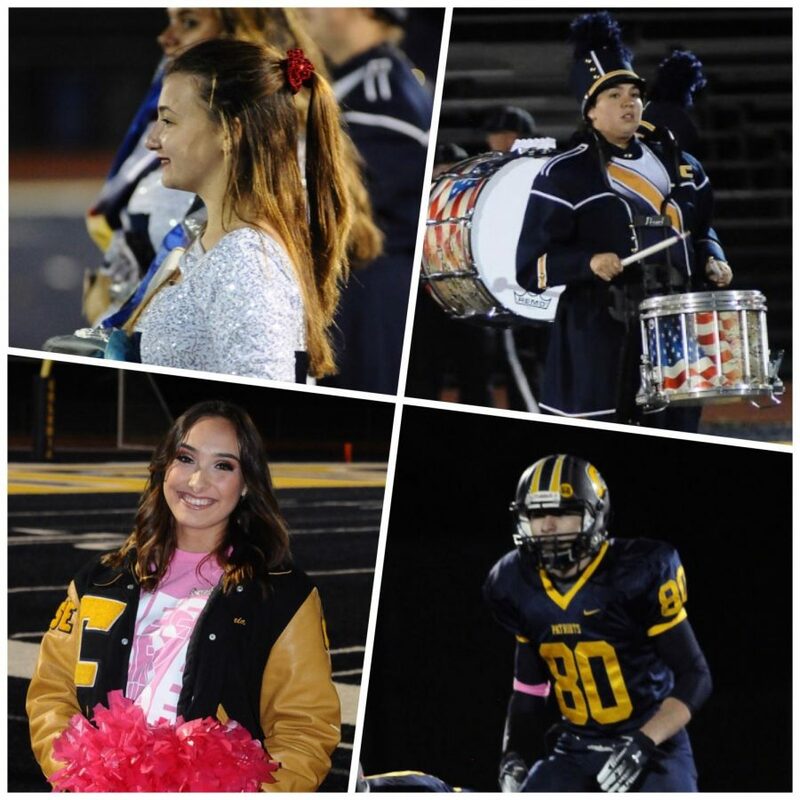 On October 19 the seniors of Colonia’s marching band, color guard, cheerleading squad, and football team had their senior night. Four seniors talk about their feelings on senior night and the memories from the last 4 years. During a performance, Ramos plays the snare drum. Lillianna Ramos is a percussionist in Colonia High School’s marching band, the Marching Patriots. When asked about how she felt on senior night she responded, ” I felt sentimental, it was really emotional just to think that that was our last home game. I felt really nostalgic. I’ve done everything in band musically so it was crazy to think that it was all over. 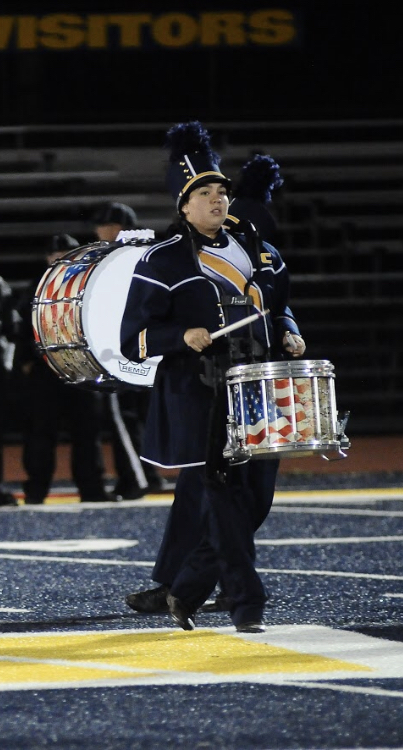 I’m going to miss it.” She talks about the last four years being tiring because of all the hard work she has put into the band. ” It’s worth it in the end. I enjoy competitions and the satisfaction of getting things done. I enjoy getting awards and I enjoy getting recognized as in the band because we normally don’t get recognition in school. 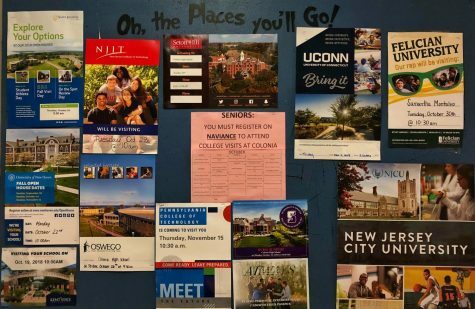 ” Ramos wants to start a marching band in college because all the colleges she wants to go to don’t have marching bands. Although, she says she would like to join pit band in college. Captain Maria Brock poses smiling at the football game. Linebacker Pereira is ready to start the play. 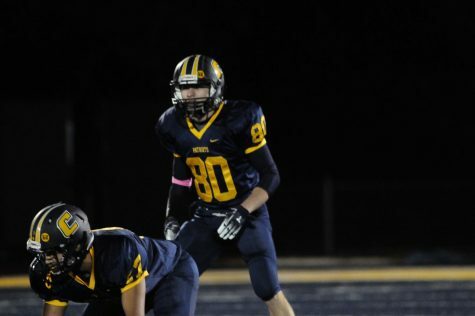 Zach Pereira is a linebacker for the Colonia High School football team. He describes his senior night as “exciting”. ” We all knew it was the last time that we would play. You could see that in the way we played.” The football team won the game 35-7. Pereira describes the last four years as ” a real journey. It’s been a real ride. I’ve had a lot of fun, been through ups and through downs, wins, losses. It’s been a really good experience. I love playing football and I really can’t imagine not doing it. It’s great.” Pereira doesn’t know if he will continue football in college. He says that he wants to see how things will work out and to figure out later down the line. Webber smiles while waiting to start her performance. 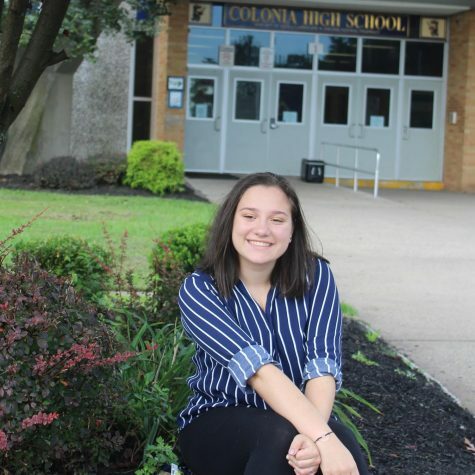 Jennifer Webber is the capitain of Colonia High’s color guard. 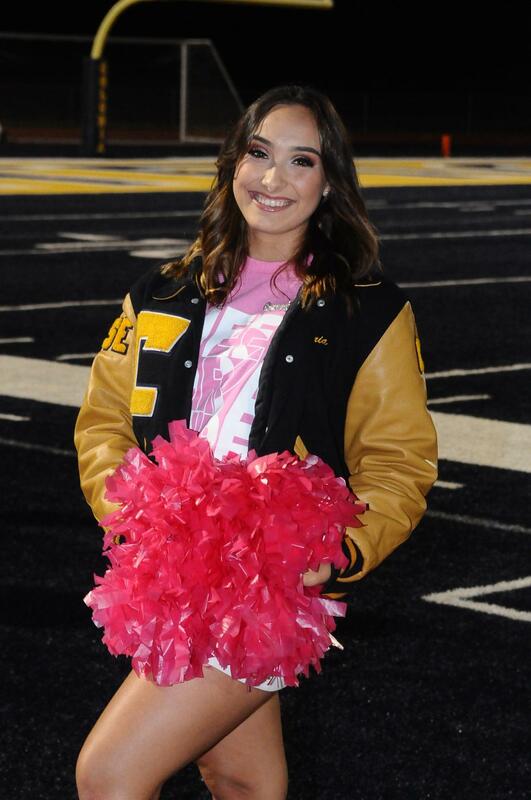 She says her senior night was “very emotional” and “nostalgic”. 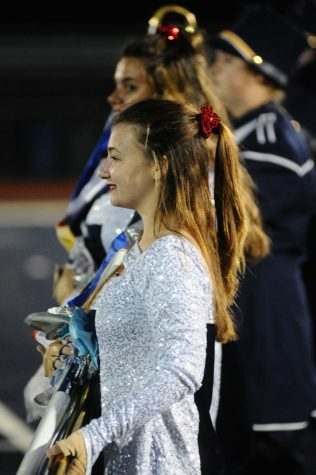 Weber has been in the color guard for 3 years and she says that the color guard ” so far has been the most supportive”. When asked on how it feels to be captain she says “Being captain is probably one of the biggest honors because it means that I’m good at what I do. I’m very passionate.” She laughs as she says ” Live, Love Guard!”. Weber says that some colleges don’t have a color guard but she would like to do something related to color guard in college.